I love when we travel to a destination and discover it far exceeds our expectations, but am disappointed when we realize the stay is far too short to experience all we want to do. 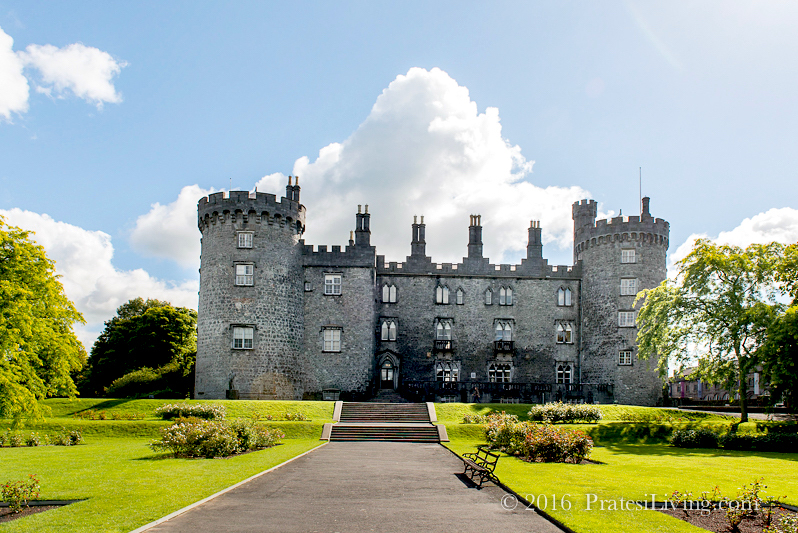 We desperately wanted to spend several more days exploring the charming towns and villages and nearby manor homes and castles in several stops during our Ireland Road Trip last fall, but we were on a tight schedule and covering a lot of territory. 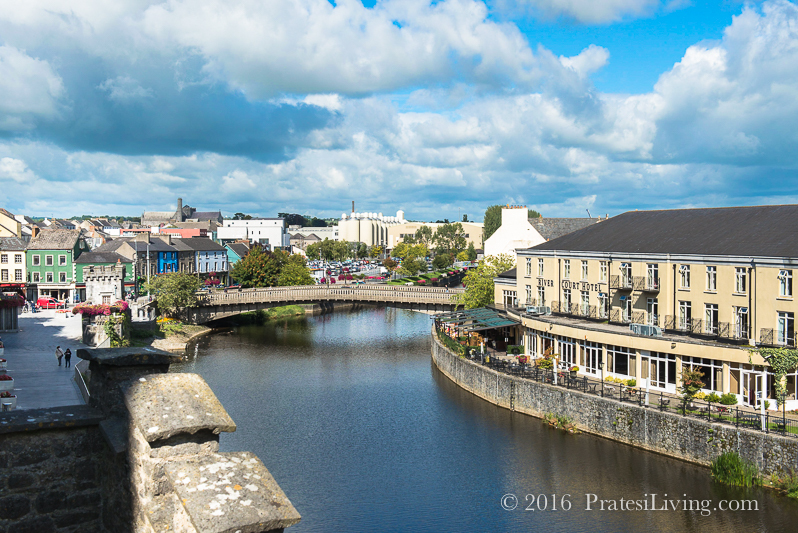 Kilkenny was one of those towns that deserved at least a few more days for exploring and sightseeing. 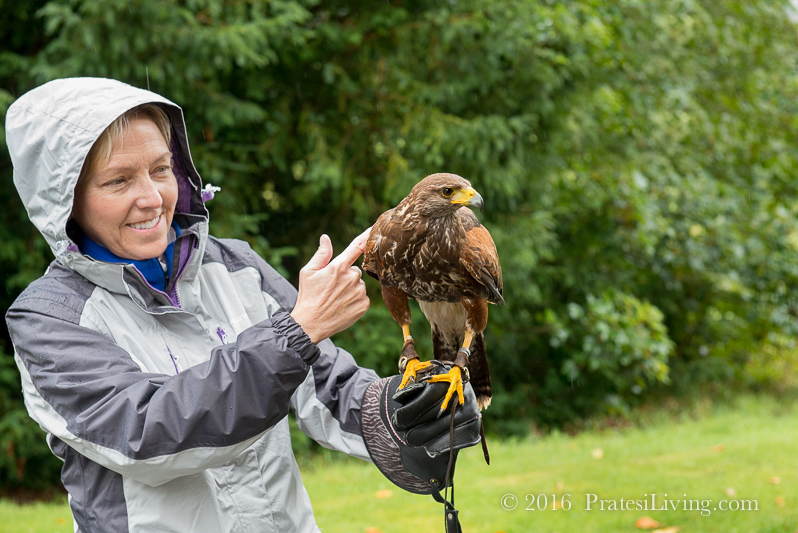 Come along as we visit Kilkenny, one of Ireland’s most beautiful “tidy towns”, the stunning historic property where we stayed in nearby Thomaston, Mount Juliet Estate, and take part in the thrilling Ancient Sport of Falconry. 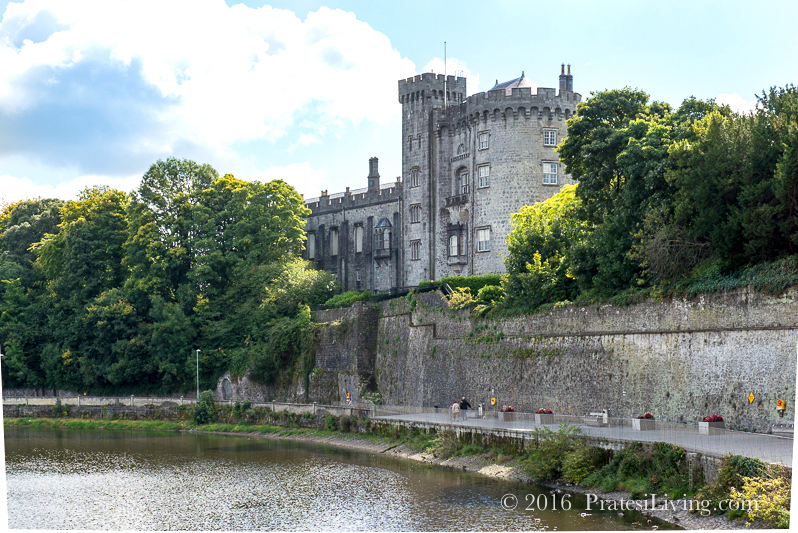 One of our favorite stops in Ireland was Kilkenny, a lively medieval town complete with a restored Norman-built castle, Kilkenny Castle, dating back to 1195. 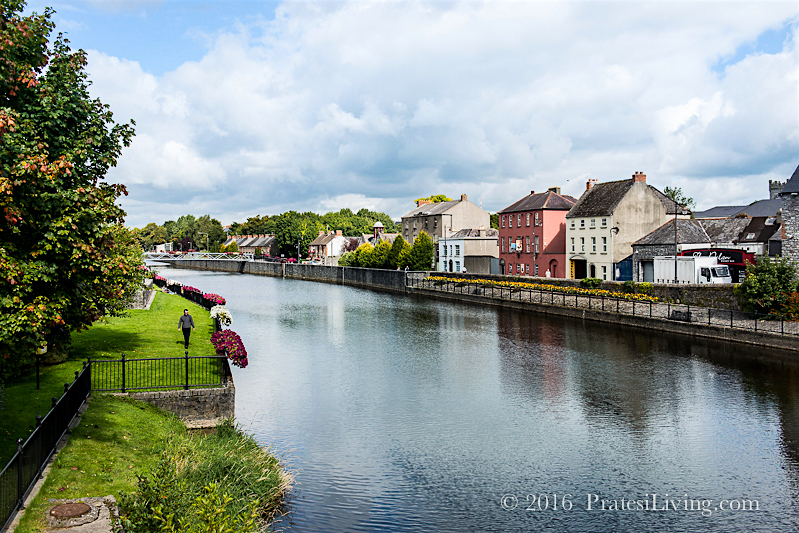 Located in southeastern Ireland, in County Kilkenny, the town is built along the banks of the 87-mile long River Nore. While visiting the town, we took a step back in time touring Kilkenny’s Medieval Mile, filled with history, great local and artisan foods, outdoor activities, museums, farms, numerous pubs, great Craic (Irish fun), and traditional Irish music. 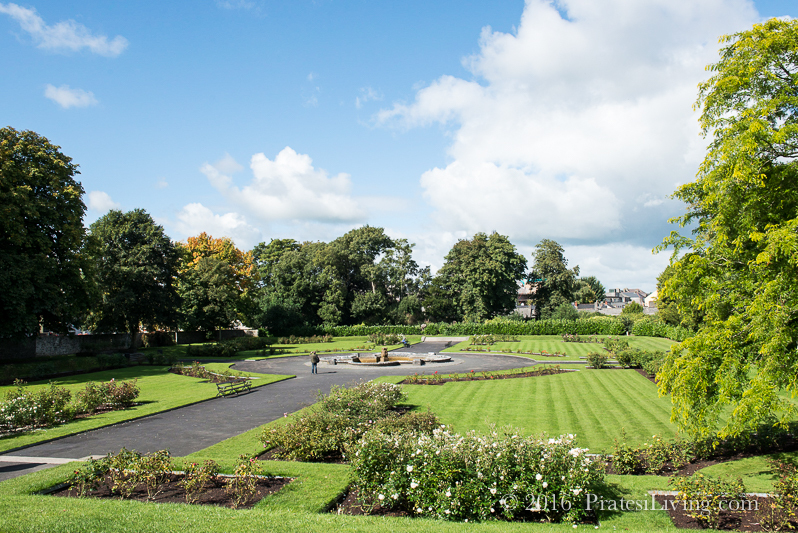 Kilkenny was voted Ireland’s “Tidiest Town in 2014” recognizing its’…well… tidiness. 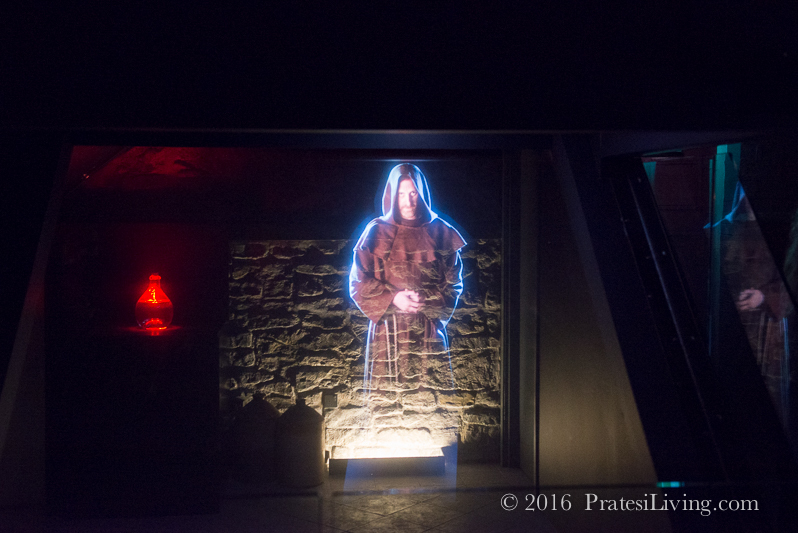 Two of the most popular attractions (in addition to Kilkenny Castle) are the 13th Century Cistercian Duiske Abbey, dating to the 8th and 9th centuries and the Smithwick’s (pronounced SMi-ddicks) Experience. 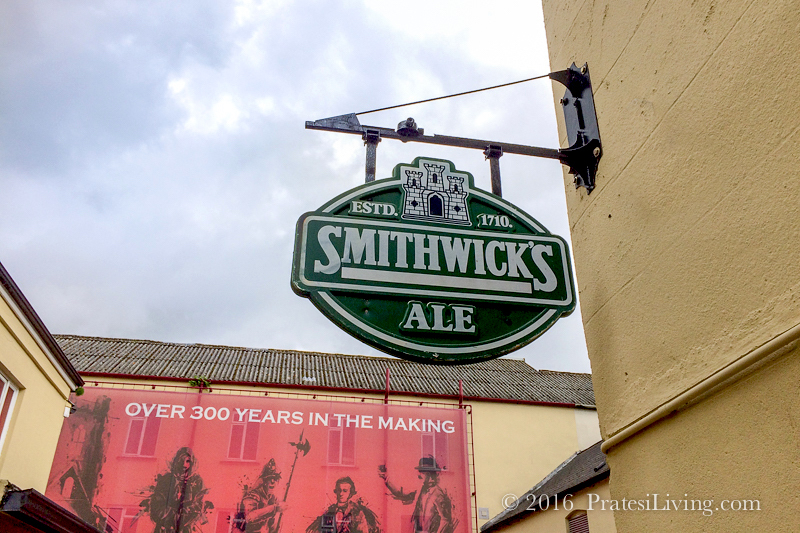 While they no longer brew the local ale on site at Smithwick’s (it’s now made at the Guinness Storehouse in Dublin), there’s an entertaining tour of the brewery highlighting the history of the ale dating back to the 13th century when monks first began the brewing process at St. Francis Abbey. The tour ends with a pint of their famous Irish Ale, which became my preferred beverage while in Ireland. 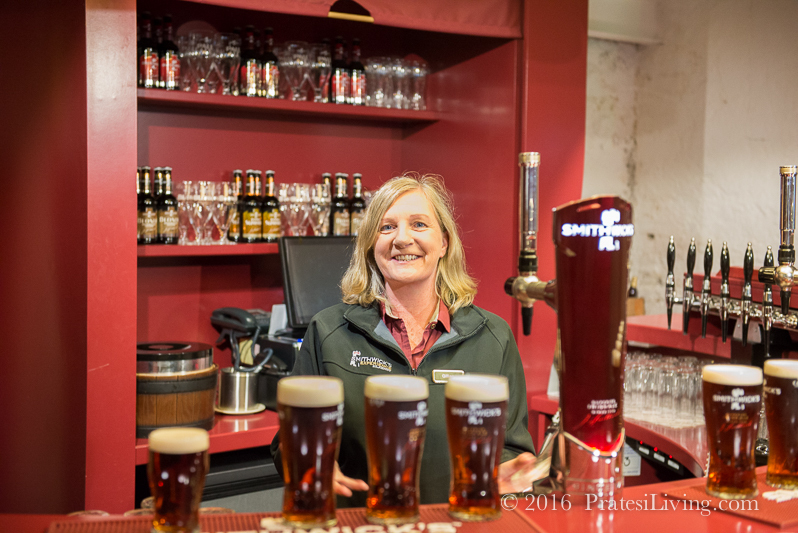 How about a pint of Smithwick’s?